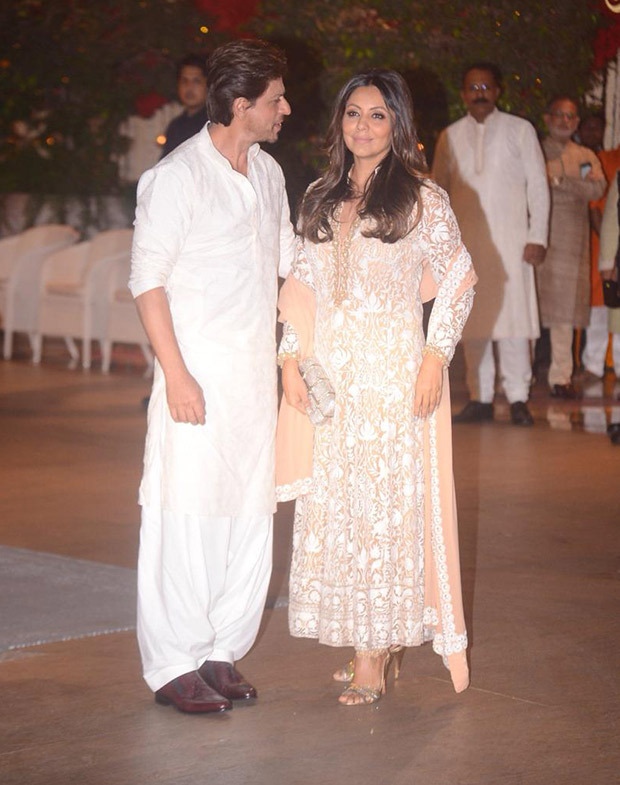 Like every year, this time too Ganesh Chaturthi festivities were in full swing at Mukesh-Nita Ambani’s residence Antilla and the entire place was lit up by a bevy of Bollywood stars. It looked as if the entire industry turned up to seek blessings of the Bappa and did not disappoint us with their festive fashion! 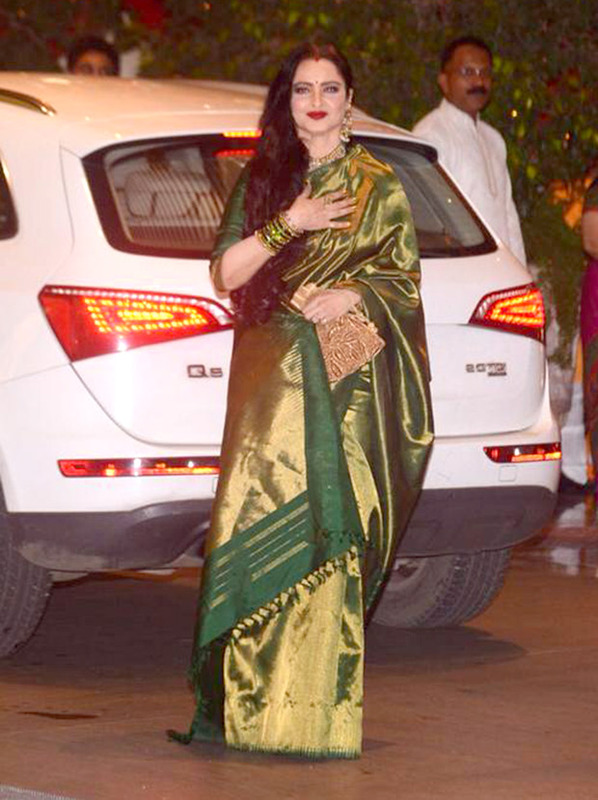 Everyone from Shah Rukh Khan – Gauri, Aamir Khan, Madhuri Dixit with husband Sri Ram Nene, Sachin Tendulkar, Bebo (Kareena Kapoor Khan), Lolo (Karisma Kapoor) to Amitabh Bachchan were present at this auspicious occasion. Like always, Nita Ambani was a gracious host to her esteemed guests and was at the entrance to welcome the stars along with son Anant Ambani. Also Read: ALL inside pics Shah Rukh Khan, Ranbir Kapoor – Alia Bhatt, Aishwarya Rai Bachchan all under the same roof for Akash-Shloka engagement at the Ambani house!